The global economy was gifted signs of a reprieve from a sloppy start to the year, though that’s not stopping the bleak forecasts from rolling in. Trade wars rage on, and central bankers remain patient through all the noise. 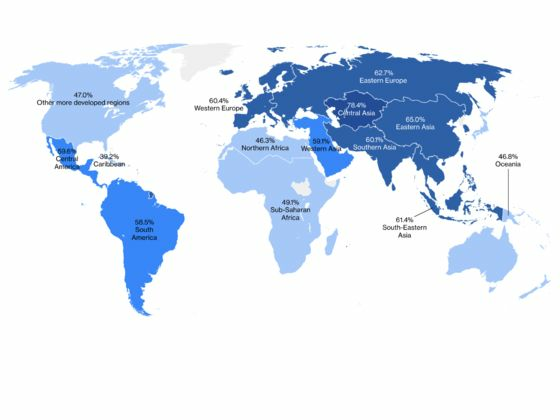 As the world’s economic policy minds met in Washington for the International Monetary Fund-World Bank spring meetings, the mixed bag on data was little comfort. The IMF slashed its global growth outlook for the third time in six months, now to the weakest pace since the last financial crisis. While comparisons to other crisis eras — including the 1990s, for Japan — might be overdone at this point, the worries are piling up, with other recent downgrades from multilateral outfits. Bulls disgruntled by the naysayers can take comfort that economic forecasting is pretty darn difficult. Where the leading indicators remain bleak, including on our reads of the European and Indian economies, the more timely data offered glimmers of hope this week. 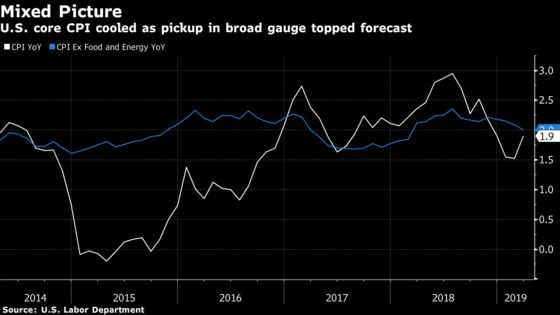 U.K. growth is on the mend, Japan machinery orders finally eked out a gain, and in China there are signs that stimulus is making its mark, including in excavator sales. The European Central Bank is noting that at least the growth slowdown hasn’t worsened. The markets still seem to be eerily calmed by all the good feelings between the U.S. and China on the progress of their trade talks, including on sticky subjects like foreign firms’ cloud computing access in the Chinese market. 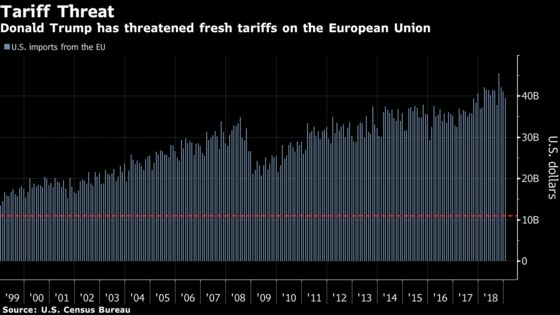 But Trump has broke open another front on the trade war, getting louder about U.S. complaints on European aviation subsidies. It’s a pretty terrible time for the European economy to be handling another stress point. The EU warns that Trump’s lingering threat to dismantle the WTO could return everyone to “rule of the jungle.” Still, the bloc’s ambassadors gave the go-ahead for trade talks with the U.S. (despite France’s misgivings). Japan is preparing for its own clash with Trump. A surprise cooling in U.S. core inflation underlined the Federal Reserve’s complicated decisions — including potentially bowing to Trump’s public nudges for a rate cut — on the same day as minutes were released showing their sense of patience amid the storms this year. The ECB kept policy unchanged amid its own basket of risks, with President Mario Draghi signaling that the central bank expects to rely on long-term bank loans and tweaks to its negative interest-rate policy as a first defense. Meanwhile, the IMF warned of “dangerous” consequences for the U.S. economy if moves such as Trump’s calls for Fed interest-rate accommodation lead to monetary policy mistakes and Jerome Powell asserted the central bank’s independence in remarks to Democratic lawmakers, telling them the Fed doesn’t consider political pressure in any way. Stephen Moore, a proposed nominee for the Fed, said he’s going to challenge the central bank’s “growth phobiacs,” and Trump has said privately that he knows Herman Cain will have trouble getting confirmed to the Fed.